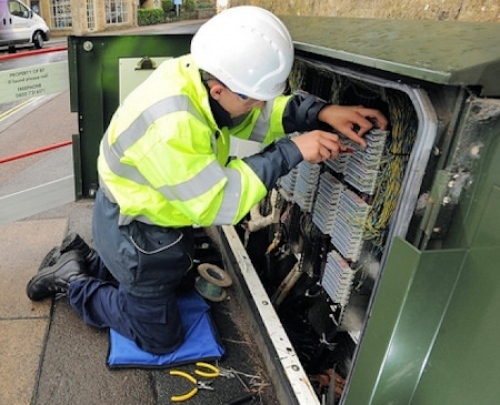 Regular readers may recall that this upgrade has already been rolled out across Openreach’s Huawei based FTTC network (full details) but, as is almost customary, their ECI based estate of street cabinets threw up a few problems and sadly couldn’t benefit. The good news is that the operator has been developing a solution for ECI kit and they’ve now informed ISPs that a Proof of Concept is ready to be tested on a subset of related FTTC / VDSL2 lines, which will take place from 20th October 2017. PoC’s are typically designed to test new technical solutions and do not usually reflect a large trial (although a larger trial may follow later if the PoC works well enough). So, will this improve the Downstream Handback Threshold? I am on 52.6 – I get Sky Fibre Pro never below 70MBps yet cannot get Sky Fibre Max because of this. Ludicrous really though Pro is better due to a static IP just principle really! Curious how this works and who gets assigned a 3db profile and who does not. I know several people on FTTC with Huawei cabinets in different locations all getting from 50Mb all the way up to the full 80Mb (79999kbps with max attainable more than that) none of them have been assigned a 3db profile. If you’re getting full sync then there’s no need for a lower target margin. The lower targer margin depends on how each line performs. There will be a set of parameters that DLM will look at. If a line falls foul of them, then it won’t reduce the target margin. I’m on a 3dB target. My line had G.INP activated 11 days after the service was activated, and then about 48 hours later DLM tried 5dB, then 4 then finally 3 over the course of a few days. In sync at 77.8mbps on a ~600m (19.3dB attenuation) with less than 5ES per day. Guess you unlike them must be just lucky. So am i parents are on a Huawei cabinet, currently achieving 68-70Mb thruput, with a BT profile of around 72Mb and a max attainable accroding to the modem/router of about 85000kbps (or near to 85Mb) their line has never once tried margins other than 6db neither higher or lower. I think as you basically say Paul its nothing more than pot luck. Where old-style interleaving+FEC is configured (INP=3ish), the modem often reports a much higher attainable – something around 20% higher than the actual speed is not unusual. If DLM has configured old-style interleaving+FEC, then it won’t try the reduced SNRM settings. I do not believe the line is interleaved though i will double check on my next visit. Other possibility would be being capped. Knowing the exact sync speed might tell you that. Otherwise there’s no reason to not sync at the attainable. If they have G.INP and a lower than 6dB target margin the line will likely be on a retransmission high profile. As a result the IP profile is around 92% of the sync speed, as oppsed to the usually 96.69/79%. So does not look like the line is interleaved, no idea why it can not manage more. In fact assuming the router reports the above correctly it should be capable of full speed quite easily even more so if it dropped the SNR down to 3db. I would also guess even if it were interleave it should be managing more. Router is a Zyxel with broadcom chipset and cabinet as suspected is Huawei. Does the router support G.INP? When was the last resync? Must have quite bad crosstalk with that sync on a 9dB attenuation. I’m at 77.8meg at 19dB. Yep it does support G.INP its a Zyxel VMG8xxx (i cant remember the rest i forgot to note the exact model down). Its had G.INP enabled in the past but it makes little difference to the speed and as stated its NEVER altered the noise margin from a 6db. No idea of last resync, power off, or reboot its my parents i dont live with them and if i asked when did yoou last resync the router they would just look at me dazed and confused. Phone lines down the street have had problems for years, BT recently replaced a bit of cable 3-6(ish) months ago, but that has not made a blind bit of difference to stats of the router. Its been basically the same stats and speed for the 2+ years they have had FTTC. BT are regularly called out by people in the street who suddenly suffer noisy phone lines (my parents in the last 5 years have had the phone line go noisy and crackling 3 times and each time had an engineer). Its rare a month will go by without them being out to fixed something for someone. I do know the line is not capped, when the BT wholesale checker works and performs a test to completion (IE tells you the line profile along with the initial test speed), you can get both those figure to change for the worse with multiple power offs, 24-48 hours later DLM for that side of things will work fine and re-raise the profile and line speed. It just will never go anything significantly above what the line currently has you may get for example a 73Mb profile rather than a 72Mb (minor but enough to know the line is not capped at a max profile) that along with being able to force the line down with multi power offs, and DLM gradually increasing it over 48 hours shows DLM works on it in that regard…. JUST never alters the margin that stays at a target 6db. Probably a combo of DLM not working fully, crap phone lines, and bad luck which is the issue. Yes, it looks like a Huawei DSLAM. Strange for a Huawei line to be on Fastpath. Normally it would settle on either a retransmission profile or an interleaved profile. Strange to see an 11Mbps gap between actual and attainable speed with a ~ 6dB SNRM. That 11Mbps gap is worth approx 3dB, so that gap between actual and attainable would be understandable if the real target was actually 3.4dB … which is what modems seem to end up on with on the 3dB setting. So you have an “actual” setup that is coherent with a 3dB target, that synced (98 hrs ago) with a 3dB target, but where some noise has since disappeared (exactly 3dB’s worth). One way to find out is a resync, and checking the stats immediately afterwards. I wouldn’t expect a 3dB target to be set alongside fastpath. So something else is going on, but it doesn’t appear to be an interleaved profile, and the sync speed does not look like a capped one. Zero errors in 98 hours on fastpath is a pretty good sign. Not a sign of crap copper, anyway. “Yes, it looks like a Huawei DSLAM. It interleaves the line and reduces speed and line profile down to about 68Mb (IE around 5Mb slower) if they use the BT ECI modem which was originally supplied. Upload with it also goes 1-2Mb slower. With the Zyxel they get 72-73Mb and it never has to apply interleaving (probably because it has a broadcom chipset matching the Huawei cabinet which enables it to get a better result). Its not that far off what i have seen of the admittedly very few FTTC connections ive looked at. From my limited experience you normally have your speed (in this case as good as 73Mb) then the BT profile which is typically anything from 2-4Mb higher (which would make it 75-77Mb profile) and then the max attainable is typically another 5-10Mb (which would put that at 80-85Mb of which my parents have 83Mb). Yeah have tried that several times before for them particularly a week and onward from when 3db profiles were supposed to be available on all Huawei cabs. A reset, power off, resync, or yanking the connection and reconnecting makes no difference (unless of course you do it multiple times over a few minutes which is when it lowers speed and profile). “I wouldn’t expect a 3dB target to be set alongside fastpath. So something else is going on, but it doesn’t appear to be an interleaved profile, and the sync speed does not look like a capped one. The line is very good with regards to errors on the downstream, it can go months without the rate increasing, even after very long periods it will typically only have 100-200 errors. Typically the up stream will have a higher error rate, but i do not think even after months of not a single disconnect ive ever seen that reach 4 figures (IE 1000+). This is probably another reason DLM keeps things as a fastpath profile. I spose in one regard they are lucky and 72-73Mb and it being stable many would kill for. @Fastman, ISP’s have no say in whether Openreach’s DLM will determine if a line is suitable for a lower target margin. @Simon, if you’re connecting at 80/20 then you don’t need a lower margin as you’re connecting at the maximum speed available. If you’re on the top speed already what are you expecting this to do for you? Give me a bit more? is there something wrong with that? The limit’s 80/20. No-one is getting more for right now, regardless of the capacity of their line. Then the whole article is a misleading lie. Most people don’t get 80Mb. For them the lower SNR margin will improve things if the line is stable. Someone who was pressurized by senior management/directors at BTplc to cheapen costs part way though the initial commercial rollout so they bought cheaper equipment from ECI. The shareholders are in the most part pension and investment funds. They want more divi’s because their pensioners want more income. So – basically the fault of all those who want ever more interest and more income from their investments and savings. I would assume that BT simply spread their order across two manufacturers (just like the BBC/ITA did for TV transmitters [Marconi & Phillips) to ensure that manufacturing targets would be met. Your idea ‘Peter’ is idiotic! Note BT Hub 5 synced higher, but tp link only went to 28mb, ECI White modem 26mb and Huwai modem modem 23mb. thanks for that info, similar position at the moment but on ECI so waiting patiently, would be a welcome boost. was your upload affected? currently 23/4 on a 1.5km / aluminium line. This morning I noticed my sync rate went from a standard 64mbit down 19mbit up which it has been for years to 80mbit /20 mbit down with max attainable of 89mbit, this is v weird as I am over 400m from the cab, never done this before not that I am complaining its now running at full tilt. much more likely to be vectoring or a crosstalker been turned off. Your cabinet may have had vectoring enabled, if it’s a Huawei. You got things backwards, long lines will be helped more, as short lines are more likely to be at the speed cap already, especially on 40/10 and 55/10 which the majority of uk consumers are on, in those cases the target snrm doesnt matter.